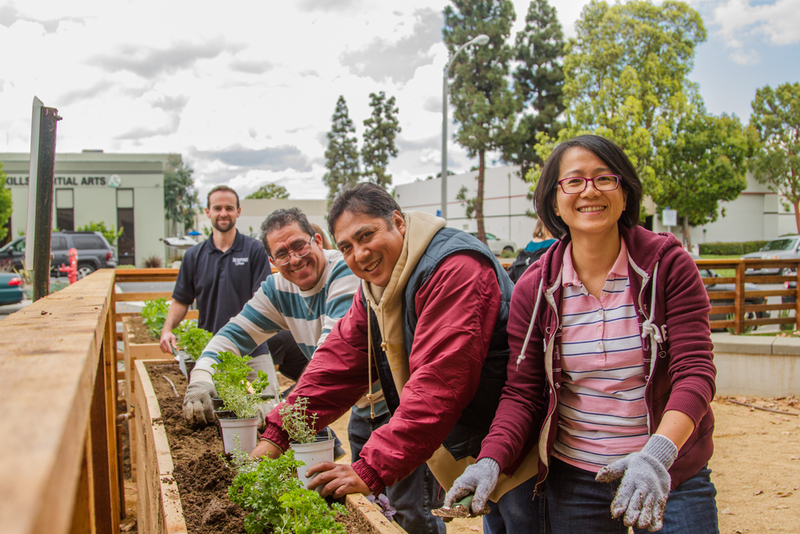 Newport Meat envisioned a garden space for their employees to enjoy on their breaks as well as to bring their community together through a shared garden harvest. Newport Meat exemplifies the highest caliber of integrity in every aspect and Tenfold Harvest was honored to have brought their garden project to fruition. Newport Meat is situated in the midst of an industrial area in Irvine close to several shopping centers, including the District. The area that the company chose for their garden project consisted of 5,500 sq. ft. of lawn in front of their corporate offices. 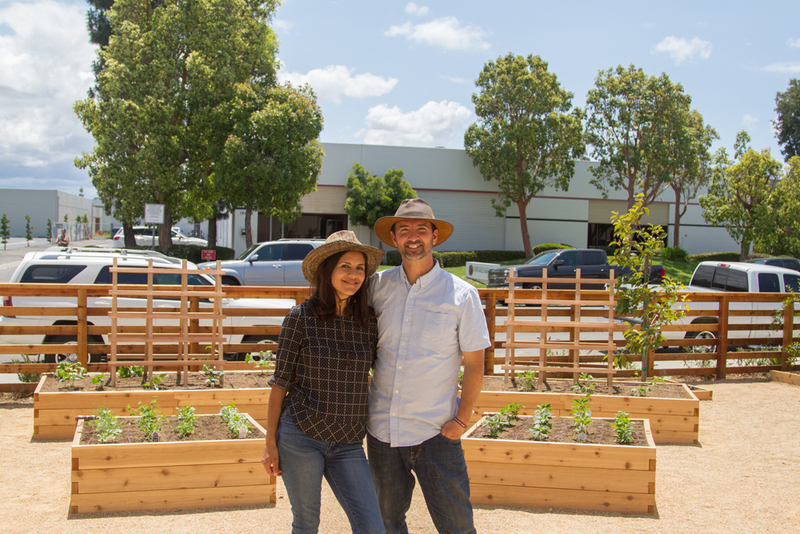 The company president, Mike Drury, was drawn to Tenfold Harvest's mission of 'Gardening with a Purpose' and wanted a garden that would exemplify that purpose. He expressed his desire to have the corporate garden provide repose for his employees while on break and at the same time bringing everyone together through the different cycles that gardening provides from planting, gardening lessons, and harvesting. Newport Meat saw the value in collectively enjoying the gardening process as well as sharing the harvest with others such as MaxLove Project and Bracken's Kitchen. We transformed 5,500 sq. 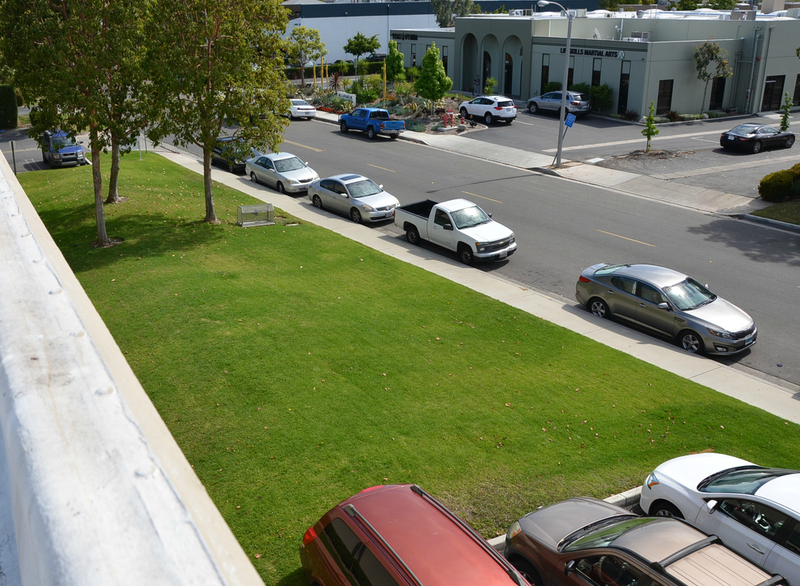 ft. of relatively unused lawn area to a multi-purposed garden space to be enjoyed by all Newport Meat employees within 45 days. The garden encompassed raised garden beds with over 1,400 sq. ft. of planting space, deciduous fruit trees, citrus espalier wall, avocado trees and purposeful pollinator attracting flowering shrubs and herbs. The garden was a corporate unifying project as employees took ownership. The garden evoked interest, intrigue and participation as the project unfolded. The culmination of the project success was evident on the inaugural company planting day. Team building games and garden lessons were incorporated as employees planted their garden for the very first time. The ongoing success of the garden can be measured by the continual participation of the employees which can be seen each day. From breaks being taken at their newly appointed break areas, to comments and concerns for their garden and to the highly anticipated first harvest.